Helps build lean muscle mass. Creatine with aspartic acid, Alfa-GPC, Acetyl-L-Carnitine and Co-enzyme Q10. Aspartic acid. In L-isomer form it makes up part of the protein genic amino acids group, which are the precursors of proteins or, in other words, the amino acids which are capable of building proteins, tissues, muscle! As part of its synthesis function, it is the precursor of the amino acids: methionine, threonine, isoleucine and leucine. Participates in the urea cycle, a metabolic phenomenon which takes place in the liver and allows excretion of the by-products produced from the synthesis of new amino acids. Another important role is its neurotransmitter action stimulates the NMDA receptors, and actively participates in the generation of testosterone, GH and growth factors. Acetylcarnitine. Is an ester form of the amino acid L-carnitine, which has the important function of absorbing acetyl-CoA and stimulating neuronal metabolism in the mitochondria during the oxidation of fatty acids, and obtaining energy from these - in other words stimulating the production of cellular energy. It favours the synthesis of proteins and components of the cellular membranes, thus increasing and improving sporting performance. Coenzyme Q10. Substance necessary for the production of muscular energy and ATP, at a cellular level, acting as a power block mechanism in charge of fat burning. 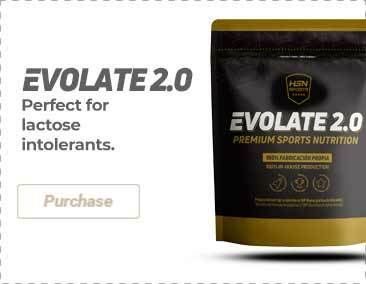 This cognitive framework joins together with the recharging powers of muscular energy deposits, which is the principal quality of monohydrate creatine, stored as phosphocreatine, and is then potentially available for demanding, high intensity exercise and training sessions. Using Build-HD, you can build muscle in the best way possible, notably increase your strength and resistance, achieve superior performance, and focus on the goals you are pursuing with nothing being allowed to stand in your way. Build-HD: the ultra-concentrated, neuro-cognitive creatine, with the best flavour and solubility! Take one serving (1 scoop) mixed with 250ml of cold water, before, during or after training, or as indicated by your trainer. On non-training days, take one serving first thing in the morning on an empty stomach.